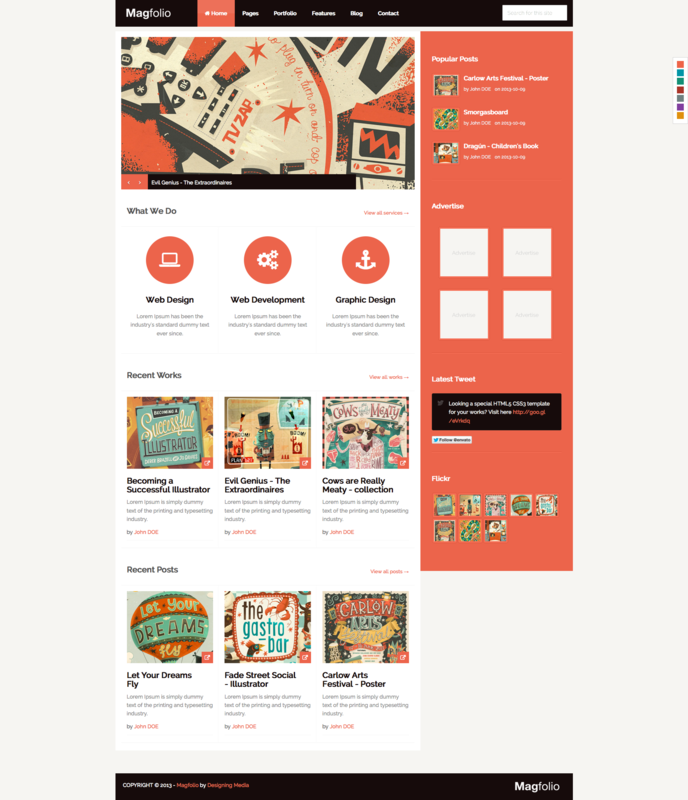 The Magfolio WordPress WooCommerce portfolio blog theme is a colorful yet powerful solution for displaying artwork. The theme features 100% compatible Woocommerce eCommerce plugin, build-in revolution WordPress slider plugin, limitless shortcodes elements with GT Shortcodes (I recommended this item and seller! ), fully responsive framework that looks fantastic on any mobile device, Bootstrap 3.0 based and 100% valid HTML5 and CSS3 clean codes. It contains single portfolio layout and multiple blog layout options and custom page template. 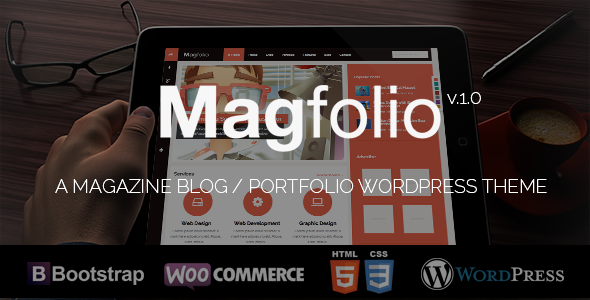 The Magfolio WordPress theme key features are 7 custom color schemes, powerful theme options panel, awesome theme widgets (Twitter feed, Flickr photos, popular posts).It’s compatible with all modern browsers and 100% search engine friendly. 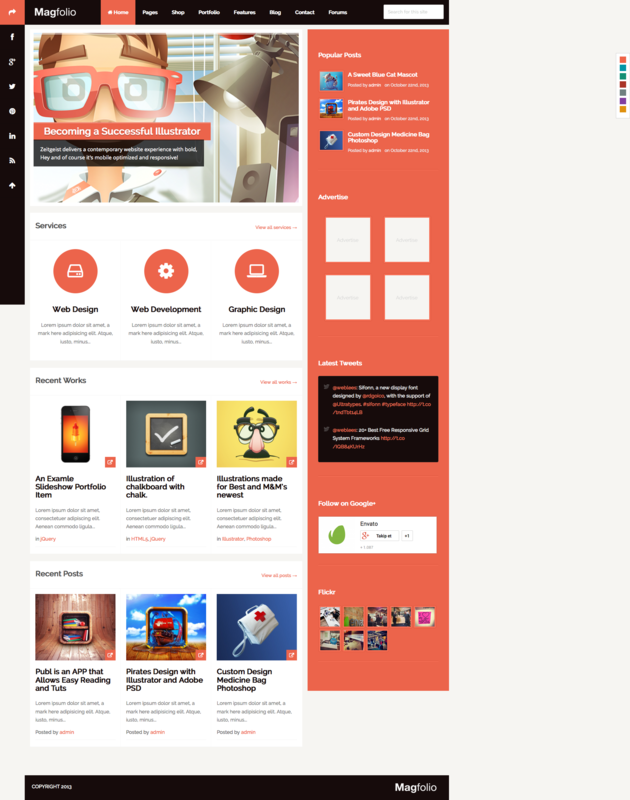 You can showcase your artworks, sell your works online and blogging posts with this awesome WordPress theme! * Added - yellow.css included Theme Options Panel. I’ve used the following images as listed.